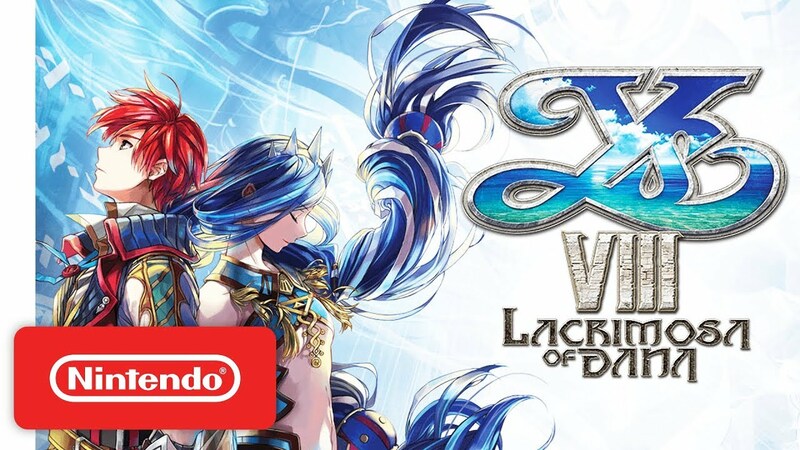 YS VIII: Lacrimosa of DANA is an action RPG from developer Nihon Falcom Corporation and publisher NIS America. Like all genres on the Nintendo Switch, the RPG genre is quickly growing. YS VIII does a good job of standing out from the crowd by offering a decent storyline, great character development and a large map to explore. You play as the adventurer, Adol who soon learns that he and his friend Dogi have agreed to work on the ship the Lombardi as temporary sailors in exchange for food, room, and passage to their next destination. It is Adol’s duty to patrol the ship to keep it safe and look for stowaways or any sign of trouble. 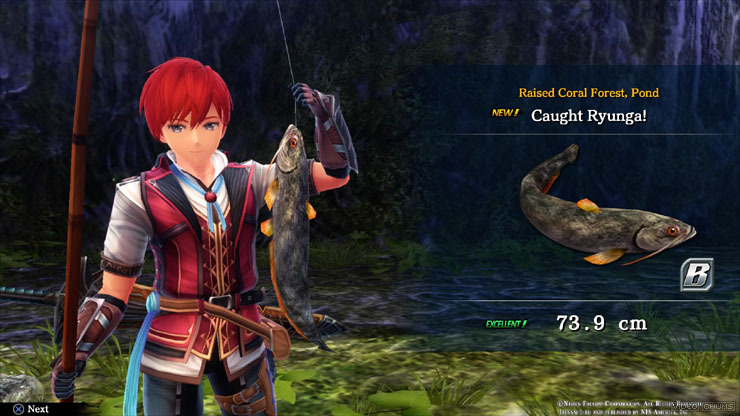 Adol completes his task and, while reporting to captain Barbaros, is told about the Isle of the Seiren. This is an island that no captain dares to sail to, certain that the ship will sink and everyone on board will never be seen again. The captain sees that his story piques Adol’s interest, so he lets Adol know when they are sailing by so he can see it with his own eyes. As the Lombardia sails past the Isle of Seiren and Adol excitedly watches it pass, large tentacles come out of the sea and attack the ship. Adol successfully fends them off the first time, but the tentacles skin the ship when they attack a second time. Adol soon awakens from the crash and finds himself shipwrecked on the Isle of Seiren. With a little exploration, Adol finds Laxia. She reluctantly agrees to accompany Adol. Shortly thereafter you meet up again with Dogi and eventually Captain Barbaros. The captain and Dogi decided to start a base camp and assign Adol to explore the island to try to find more castaways as well as map out the island. Laxia again decides she will join him. It is during this exploration that Adol begins having strange dreams. Dreams that link him to Dana. Base camp, or what later becomes “Castaway Village”, offers several different things to do. As you continue to find more characters, more activities are activated. Recruiting castaways will allow them to join the campsite, and the castaway in return will offer any talent they have to help improve the village. For example, early on you will rescue Alison, who will offer to help out where she can by being a tailor for the villagers. It was a lot of fun to find new castaways to see what they had to offer the village. Another important skill villagers have to offer is blacksmithing. Blacksmithing allows players to increase their weapons’ strength and stats. Increasing weapon stats is fairly straightforward. If you want to increase the power of the weapon all you need to do is look to see what materials are needed to make the given weapon more powerful. One reason recruiting the castaways is important is because you need their help. Large trees and rocks sometimes block the path – why you can’t just climb over them is beyond me – and you can request help from villagers to remove them. Eventually, a bulletin board is set up in Castaway Village. When you read it you will see requests from the villagers. Completing side tasks from the villagers will earn you experience points but also respect from whomever is requesting it. Other helpful tasks include raid battles, fishing, and cooking. Raid battles are when you guard the village from waves of enemies, which in a way is kind of like a tower defense mini-game. Fishing is a rather simple task; find any body of water and look for the shadow of a fish. As long as you have bait it can be completed. Most fish are rather easy to catch and can be quickly reeled in by pressing the A button. Sometimes for things like larger or rarer fish you may have to press a certain direction or move the L stick in a circle. Cooking can be completed with fish that were caught as well as berries and fruits that are found on the island. Character development was a feature that I wasn’t expecting to find in such a large RPG with a fair amount of side characters. I mean I expected to find it among Adol and his party members, but even there I saw more than I was anticipating. Laxia went from being a kind-of uptight character to one who became more understanding of others’ feelings, like family that they wanted to get back to. 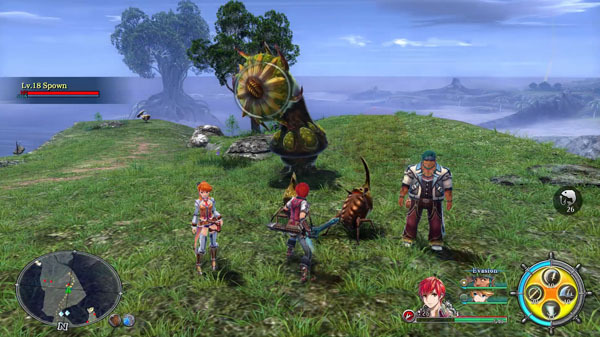 In Castaway Village, characters warmed up to Adol and company as they completed tasks. It was an interesting development of characters from beginning to end. While I enjoyed the storyline, the most fascinating part of the game was the exploration of the island. Finding different landmarks and uncovering new areas to explore was very exciting. The only drawback was that it seemed like, as soon as you discovered them, there would be some kind of event that would require you to return to Castaway Village. Some things like raids were optional but with the extra experience gained from the raids it was hard not to return. Finding new important landmarks was always interesting, there would always be a small cutscene showing the landmark. 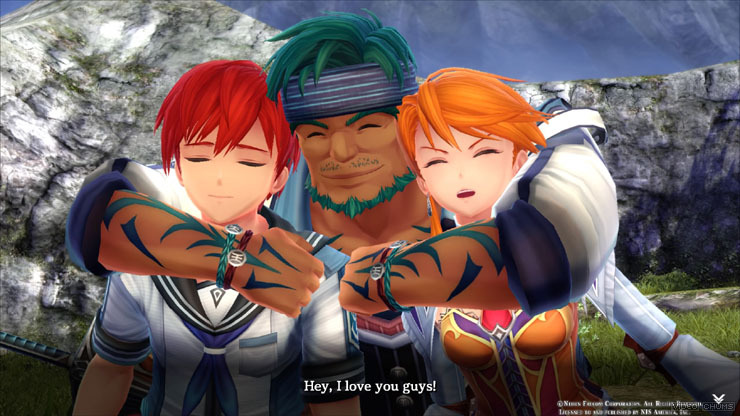 YS VIII does a good job of standing out from the crowd by offering a decent storyline, great character development and a large map to explore.